Zimra « What Happened to the Portcullis? Zimbabwe’s Deputy Finance and Economic Planning Minister Terrence Mukupe has estimated that the country has lost an estimated $20 million in revenue receipts since ZIMRA’s automated Customs processing system (ASYCUDA World) collapsed in the wake of server failure on 18 December 2017. During a site visit of Beit Bridge border post earlier this week, it was revealed that ZIMRA collects an estimated $30million per month in Customs duties at its busy land borders. The Revenue Authority has since instituted manual procedures. Clearing agents are submitting their customs documents accompanied by an undertaking that they will honour their duties within 48 hours. That is, when the ASYCUDA system is finally resuscitated and this is totally unacceptable. Furthermore, Zimbabwe lies at the heart of the North-South Corridor which handles a substantial volume of transit traffic. The threat of diversion due to lack of proper Customs control and opportunism will also create both a fiscal and security headache. The deputy minister stated that the government was considering abandoning the Ascyuda World Plus system to enhance efficiency and the ease of doing business. “We need to benchmark it with what our neighbours in the region are using”. It has also been suggested that the ZIMRA board have been complacent in their oversight of the affair. While it is a simple matter to blame systems failure, the lack of management involvement in taking proactive steps to ensuring redundancy of the country’s most crucial revenue collection system has been found wanting. This calamity undoubtedly signals a huge concern for several other African countries who are likewise supported by UNCTAD’s ASYCUDA software. Many question post implementation support from UNCTAD, leaving countries with the dilemma of having to secure third party vendor and, in some cases, foreign donor support to maintain these systems. The global donor agencies must themselves consider the continued viability of software systems which they sponsor. Scenarios such is this only serve to plunge developing countries into a bigger mess than that from which they came. This is indeed sad for Zimbabwe which was the pioneer of ASYCUDA in sub-Saharan Africa. This development must surely be a concern not only for governments, but also the regional supply chain industry as a whole. While governments selfishly focus on lost revenue, little thought is given to the dire consequence of lost business and jobs which result in a more permanent outcome than the mere replacement of two computer servers. Under such conditions, the WCOs slogan for 2018 “A secure business environment for economic development” will not resonate too well for Zimbabwean and other regional traders tomorrow (International Customs Day) affected by the current circumstances. Nonetheless, let this situation serve as a reminder to other administrations that management oversight and budgetary provisioning are paramount to maintaing automated systems – they underpin the supply chain as well as government’s fiscal policy. 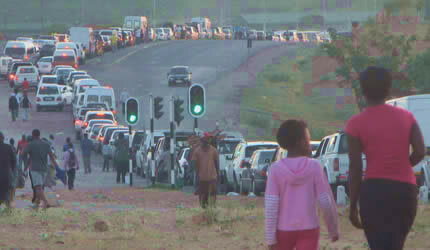 Zimbabweans protesting against restrictions on imports of basic goods from South Africa have forced the closure of the border post between Zimbabwe and South Africa on Friday. On June 17, the Zimbabwean government said that it was suspending imports of products including bottled water, furniture, building materials, steel products, cereals, potato crisps and dairy products, most of which arrive from South Africa. A Statutory Instrument No. 64 of 2016 which effectively tightens the screws on the import of these products is purportedly intended to target businesses and not ordinary travellers buying goods for personal consumption. However, Zimbabwean Revenue Authority (ZIMRA) officials continued to demand permits and confiscate the listed goods, sparking the chaos. A warehouse owned by ZIMRA for the storing of illicit goods seized from people crossing the border was set alight by the protesters on Friday, 1 July 2016. More than 85% of working age Zimbabweans have no formal job and many make a living by buying goods in South Africa to sell in Zimbabwe. Source: New Zimbabwean/ Reuters. The implementation of the Government’s new pre-shipment regulations under the Consignment Based Conformity Assessment (CBCA) programme (essentially a fancy term for plain old pre-shipment inspection – who they trying to fool?) took off with host of challenges last Tuesday. The new regulations that were gazetted into law on 18 December last year and requires that goods be tested for conformity with required standards prior importation into Zimbabwe, went into operation on 1 March. Government introduced the programme with the view to reduce hazardous and substandard imported products and improve customs duty collection. Bureau Veritas has been appointed by the Ministry of Industry and Commerce for the verification and the assessment of conformity of goods in exporting countries. The new developments have seen cargo piling up on the South African side of the border with most importers failing to produce the required transitional certificate of conformity. The Shipping and Forwarding Agents Association of Zimbabwe (SFAAZ) chief executive officer, Mr Joseph Musariri, called on the government to waive the implementation of the CBCA on goods that were shipped before it became operational. “You will note that the Zimbabwe Revenue Authority (Zimra) has failed to enforce the regulations since 18 December last year only to try and implement it this week (last week) and that has resulted in a chaotic situation. “It is sad that cargo is piling up at Beitbridge border post where most importers are having challenges in acquiring the transitional CBCA certificates,” he said. Mr Musariri said the government introduced the idea on 27 July last year but could not implement it since there was no legislation to that effect. He said under the new dispensation all products regulated by the Ministry of Industry and Commerce of Zimbabwe exported into Zimbabwe must be accompanied by a CBCA certificate. “The categories of goods regulated under the programme include the following: food and agriculture, building and civil engineering, petroleum and fuels , packaging material, electrical/electronic products, body care, automotive and transportation , clothing and textile and toys,” he said. Mr Musariri said Zimra was now refusing to clear goods without the CBCA certificate and requesting for the conformity certificates. “They are telling those importers to contact the nearest offices for Bureau Veritas for inspections and issuance of the requisite certificates. “Locally destined cargo which is being shipped from various overseas markets is the worst affected and importers are incurring daily demurrage expenses of between $250 and $5000. “In some cases duties had been paid to Zimra but now they are singing a different song,” he said. The Minister of Industry and Commerce, Mr Mike Bimha, could not be reached for comment. Bureau VERITAS liaison officer for Zimbabwe, Mr Tendai Malunga, said his organisation was ready for the implementation of the CBCA programme. “We have trained various stakeholders on the new programme and are ready to roll. “Furthermore we have hired more staff in most countries to conduct inspections and various conformity tests on the various countries exporting goods to Zimbabwe,” he said. The movement of commercial cargo has relatively improved at most of the country’s ports after the Zimbabwe Revenue Authority (Zimra) addressed some of the teething challenges affecting its customs online clearance system. 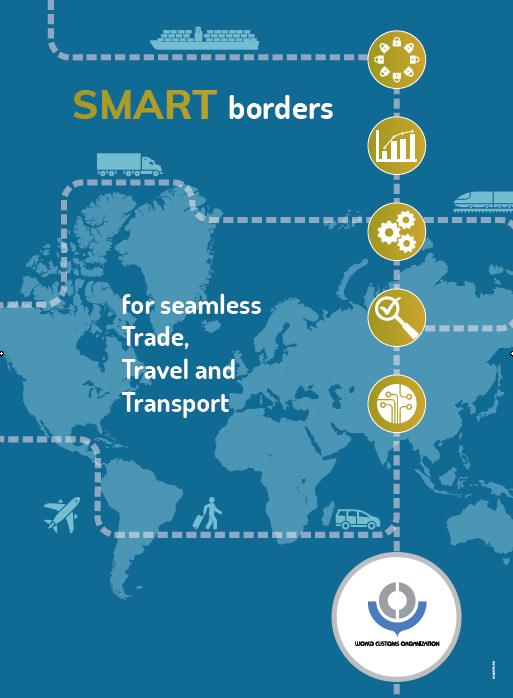 Zimra is now using an advanced Automated System for Customs Data (Asycuda) for clearing commercial cargo entering or leaving the country. However, when Zimra started upgrading its online clearance system on May 10, cargo had been stuck due to a systems failure at most of the country’s borders especially at Beitbridge Border Post, the busiest port of entry in Zimbabwe and gateway to Southern Africa. Close to 15 000 haulage trucks per month pass through Beitbridge going either side of the border. Zimra’s director of corporate and legal affairs, Florence Jambga, said in a recent statement that the upgrading of the customs clearing system had met with technical challenges. “The authority is in the process of rectifying these challenges for normal online transactions to continue. Alternative measures have been put in place at all ports of entry and exit to facilitate smooth movement of cargo and reduce inconveniences to our valued clients. “Zimra, therefore, urges its clients to approach their respective station managers for any challenges they may encounter in the movement of their cargo during this transitional period. Any inconveniences caused during this period are sincerely regretted,” she said. In separate interviews, customs clearing agents and importers yesterday said the movement of cargo had improved as from Saturday evening. Shipping and Forwarding Agents Association of Zimbabwe board member Mr Osbert Shumba said though the situation had relatively improved, they remained cautious. “We will continue to monitor the situation and we are very hopeful that things will get back to normal as soon as possible,” he said. At the Beitbridge Border Post, commercial cargo had been stuck there since Sunday last week resulting in truckers piling up on the South African side of the border. Under a normal clearance system, cargo has to move to either side of the border after getting prior notification that the export or import papers have been processed. By end of day yesterday trucks entering or leaving the country were being cleared expeditiously. Asycuda is a more efficient and advanced system for customs data processing since it is Internet based. Zimbabwe has introduced custom-control measures aimed at reducing the inflow of smuggled and inferior goods, and boosting its revenue from customs duty. Goods being exported to Zimbabwe will have to undergo consignment verification from May 16. The government’s customs officials are also tightening up inspections at the Beitbridge border post to stem the flow of cheap, illegal goods, which Zimbabwean companies blame for their financial woes. Executive chairman of the European Union Chamber of Commerce and Industry of Southern Africa Stefan Sakoschek said on Thursday that “the general idea is for Zimbabwe to protect its borders from substandard goods, as well as from undervaluation”. Mr Sakoschek said the consignment-based conformity assessment programme fell within the framework of the World Trade Organisation’s technical barriers to trade as well as the regulations of the General Agreement on Tariffs and Trade. Exporters and clearing agents have been informed of the new consignment verification measures, which will ensure conformity to standards and the value of goods declared. A certificate will be issued for the consignments for presentation to customs officials on arrival in Zimbabwe. Goods without a certificate will be refused entry. Targeted products include food and agricultural goods, building and civil engineering products, timber and timber products, petroleum and fuel, packaging materials, electrical and electronic appliances, body care products, automotive and transportation goods, clothing and textiles, engineering equipment, mechanical appliances and toys. Trade Law Chambers director Rian Geldenhuys said the pre-shipment verification process would entail additional costs but should not contribute to further delays in shipment. Consignment verification was widely practised especially in developing countries as a way to ensure the collection of customs duty revenue, Mr Geldenhuys said. “Underinvoicing is a huge problem throughout the world, especially least developed and developing countries which Zimbabwe is one of,” he said. Trade Law Centre researcher Willemien Viljoen also said the assessments would entail additional costs. Much of the effect would depend on how the conformity assessments were implemented and the standards that would be applied, Ms Viljoen said. Zimbabwean Industry and Commerce Minister Mike Bimha was quoted by the Zimbabwean press as saying that Zimbabwe was being “flooded with sub-standard imports which do not meet quality, safety, health and environmental standards”. These goods had a negative effect on the country’s economic development and the competitiveness of its industries, Mr Bimha said. Read also the following articles, published in Zimbabwean Situation – Govt moves to tighten border controls (September 2014) as well as Zim mulls one-stop border post (November 2014) which might suggest that entry arrival procedures at Zimbabwean ports of entry may not be that expeditious given a prominent focus on revenue collection. Zimbabwean Customs (ZIMRA) seized 48 kg illicit gold worth R 20 million and arrested 46 people for initial investigations. Forged gold serial-number stamps, specially designed armoured vehicles, clandestine refineries, fake customs clearance papers and documents with links to the black market. These and other pieces of evidence are the keys that the Hawks believe link a Zimbabwean and South African gold-smuggling syndicate to scores of buyers in Europe masquerading as dealers in precious metals. For two years police have been zeroing in on the syndicate, whose roots are in illegal gold mining in Zimbabwe. Inside were 48kg of gold bars valued at R20-million.On Friday, they acted. In the early hours teams from the Hawks, the Special Task Force and Crime Intelligence raided luxury homes and farms across Gauteng and the North West. In one of the raids police discovered a walk-in vault at a warehouse outside OR Tambo International Airport. Inside were 48kg of gold bars valued at R20-million. They were being prepared for stamping with official South African gold serial numbers designating that the metal had been officially mined and refined in the country. Police sources say the gold was to have been flown to at least three European countries at the weekend before being smelted, re-refined and distributed. “The amount this syndicate has handled is immeasurable. We have known about them for two years and in that short time we have recovered R40-million,” he said. The gold was taken to farms in and around Modimolle in Limpopo where illicit refineries smelted and refined it, the source said. With the help of South African mining officials, gold clearance documentation and special serial and insignia stamps were sourced. “Once stamped you would never know the difference. We have placed it next to legitimate bars and it looks and feels the same.” He said the gold was distributed through legitimate channels in Europe. “Those running the syndicate know what they are doing. They are well-connected and influential businessmen with ties to Africa, Europe, the US and Asia”. Three Zimbabweans and a South African were arrested in Limpopo province for allegedly teaming up and smuggling cigarettes worth $200,000 into the neighbouring country. The Zimbabwean trio, Takuzo Mutswiro, 22, Tatenda Nyamhunga, 31, Joseph Mhembwe, 27 and Gilbert Mamburu, 54, a South African from Tshiozwi village in Limpopo province, were arrested last week at Tshilwavhusiku near Thohoyandou after police intercepted a truck they were using to transport the cigarettes. Limpopo provincial spokesperson Colonel Ronel Otto, in a statement, said police followed up on information they received about suspicious activities at Mamburu’s house. Upon arrival at the scene, the three Zimbabweans attempted to run away, but were apprehended. Cigarettes with an estimated value of more than R2 million were found hidden in a small truck as well as a light delivery truck. It is suspected the cigarettes were smuggled from Zimbabwe, however their origin and destination is still being investigated. Lately there has been an increase in the number of cigarette smugglers being arrested in the neighbouring country. Some of the cigarettes are smuggled out of the country through undesignated entry points along the crocodile-infested Limpopo River while others find their way into South Africa through Beitbridge Border Post despite the presence of Zimbabwe Revenue Authority (ZIMRA) scanners.The machines are able to detect concealed goods hidden in sealed containers. The South Africa reportedly charges high rates on cigarette imports, which has resulted in a marked increase in cases of smuggling between Zimbabwe and South Africa. Most of these cigarettes are repackaged when they get to South Africa before being shipped to either Europe or Asia. An intricate web of smugglers, which reportedly involves manufacturers and middlemen, has been illegally carting cigarettes worth millions of dollars out of the country over the years, prejudicing the treasury of vital revenue. Cigarette manufacturer, Savanna, has been fingered as one of the main culprits, while multinationals like BAT have also been mentioned in the illicit cross-border trade, mainly to South Africa. Commonly smuggled brands include Remington Gold, Madison, Sevilles, Magazine Blue, Chelsea and Pacific Blue, manufactured by Savanna – which consistently denies smuggling. A senior customs official told The Zimbabwean that cigarette smuggling, particularly through Beitbridge and Plumtree border posts, was difficult to arrest because of corruption. “Policing at the border posts involves several agencies, namely the police, CIO (Central Intelligence Organisation), customs and special deployments from ZIMRA (Zimbabwe Revenue Authority). The problem is that these officers work in collaboration with the smugglers and haulage trucks and other containers carrying the cigarettes are cleared without proper checking. Hefty bribes are involved and the money is too tempting to resist,” said the customs official. “You would be amazed how wealthy these officers have become. They have bought houses, luxury cars and send their children to expensive schools – yet their regular salaries are so low,” he added. Immigration and customs officials, who also constantly liaise with their South African and Botswana counterparts and meet physically regularly, pretend to be checking the containers but clear them without completing the task, and know what the trucks and other carriers would be ferrying. ZIMRA has four scanners for detecting contraband and an anti-smuggling team that also uses sniffer dogs, in addition to guard soldiers posted between the Zimbabwean and South African borders. There are about 15 regular roadblocks along the Harare-Beitbridge road and 10 between Bulawayo and Plumtree that search trucks, buses and private cars. Despite this, the smuggling continues because of the collusion among the officials, said the source. Zimbabwe temporarily shut down its border with South Africa in Beitbridge yesterday after a Zimbabwe Revenue Authority (Zimra) warehouse caught fire. Impounded goods worth millions of dollars went up in flames in the inferno. The blaze exposed Beitbridge’s lack of fire preparedness with officials having to ask South Africa to help. Beitbridge town has no fire engines. To view Video of Customs Warehouse on fire in Beitbridge – click here! Second Southern African border post inferno in a week. The fire started shortly after 5PM and caused a power outage at the busy border post, Zimbabwe’s gateway to its biggest trade partner, South Africa. The warehouse was used to keep smuggled goods such as television sets, electrical gadgets, blankets and groceries whose customs duty value was estimated at just over $1 million by the spokesperson for the Beitbridge Civil Protection Unit, Talent Munda. Munda said the cause of the fire was yet to be established although it was suspected that it could have been caused by an electrical fault. “The fire destroyed property worth $5 million and the cause is not known for now. When the incident occurred, there was no-one inside and it was locked. Most of the goods that went up in smoke were smuggled goods and those impounded by Zimra and nothing was recovered as everything was burnt to ashes,” said Munda. Stanbreck Horita, a Harare truck driver who witnessed the incident, said the blaze resulted in border authorities temporarily suspending movement of travellers. “I had parked my truck at the Zimra yard waiting for my vehicle to be cleared when fire started and everyone was scurrying for cover as the raging fire started spreading. It destroyed the entire building,” said Horita. Buses carrying travellers who were bound for either South Africa or Zimbabwe were delayed as a result of the fire. Beitbridge town secretary Loud Ramakgapola said they had to collaborate with the National Oil Company of Zimbabwe (NOCZIM) who sent their fire trucks to the border post. “We tried to send our tenders to the border post but unfortunately our fire fighters could not contain the fire because it was too strong. The other problem is that there are no fire hydrants at the border making it difficult to deal with such disasters,” said Ramakgapola. Fire fighters from South Africa’s Musina Fire Station arrived shortly and teamed up with their local counterparts in trying to put out the fire to no avail. Ramakgapola said Beitbridge had no fire station and the local authority relied heavily on Musina Municipality (South Africa) in the event of similar disasters. “Beitbridge is a very busy border post which handles a huge influx of travellers especially as we approach the festive season. We therefore need a proper fire station in Beitbridge so that we’re able to deal with such situations. This is wake up call and we need to look into that issue as a matter of urgency,” said Ramakgapola. Beitbridge border post is experiencing a significant decline in volumes of imported used cars following a 20 percent increase in excise duty which took effect on November 1. “We are processing documents for less than 40 vehicles per day compared to the previous month when we would deal with over 150 cars,” said a ZIMRA official. Investigations by The Herald indicate that before the new duty regime, ZIMRA was making over $100 000 on car imports at Manica transit shed a day, but the figure has declined to around $30 000. A modest vehicle costs between $3 000 and $4 000 at dealerships on the South African side of the border and attracts import duty of the same amount. Before the introduction of the new regulations, zimra officials were clearing around 170 vehicle imports a day as dealers rushed to beat the November 1 deadline. Finance and Economic Development Minister Patrick Chinamasa recently announced an increase in customs duty on single cab vehicles with a payload of more than 800kg from 20 percent to 40 percent. Buses with a 26-passenger carrying capacity and above will pay 40 percent from zero duty, while duty for double cab trucks was reviewed from 40 to 60 percent. Vehicles with an engine capacity below 1 500cc had their duty increased from 25 to 40 percent. 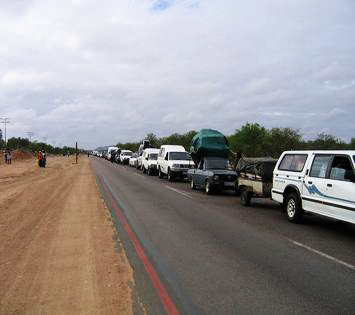 There is a drastic increase in motor vehicle imports through Beitbridge border post as dealers are rushing to buy cars before the proposed 20 percent customs duty increase on imported motor vehicles comes into effect on November 1. Finance and Economic Development Minister Patrick Chinamasa announced recently the Government intendeds to increase duty of motor vehicles which he said contributed 10 percent of the import bill in the first half of this year. He proposed an increase in customs duty on single cab of a payload more than 800kgs from 20% to 40%, buses of carrying capacity of 26 passengers and above from 0% to 40%, double cab trucks from 40% to 60%, and passenger motor vehicles of engine capacity below 1500cc from 25% to 40%. Customs duty for vehicles with engines above 1500cc has not been changed from 86 percent inclusive of VAT and Surtax. The development has raised anxiety among most Zimbabweans who are now rushing to buy second hand cars from Japan some of which come through South Africa. Zimbabwe Revenue Authority (Zimra) is processing an average of 170 car imports at the border post per day since the beginning of October. Prior to the announcement Zimra used to process between 60 and 70 car imports per day. ZIMRA officers at the border said in separate interview yesterday that they were battling to clear the vehicles at Manica Transit Shed where 300 new cars arrive per day. “We used to get 100 to 150 cars per day , but now the number has doubled and is ever increasing,” said one of the officers. A sales manager at Wright Cars on the South African border, Mr Clemence Mabidi said the demand of cars with small engines such as Nissan March, Honda Fit, Toyota Vitz, Toyota Corolla, Toyota Raum and Fun Cargo had increased. “We used to sell around 20 cars per day but now the number has increased to 40 and we have a backlog in deliveries to Zimbabwe. “We are now hiring other car carriers to take the vehicles across the border,” he said. Vehicle imports through the Beitbridge Border Post increased by 23 percent between January and May this year compared to the same period last year, the Zimbabwe Revenue Authority has said. The increase is attributed to the price freeze of vehicles in South Africa and also the exorbitant prices of vehicles on the local market. 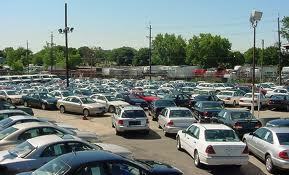 Prices of second hand vehicles in South Africa have remained stable for the past 12 months. It costs on average US$7 000 to buy a second hand modest car from South Africa and at least US$20 000 and above to buy a similar car on the local market. Figures from Zimra show that a total of 14 114 vehicles have been imported through Beitbridge between January 1 and May 31, 2013 compared to 10 851 vehicles during the same period last year. Investigations by Herald Business show that on average Zimra clears a total of 1 500 cars per month at Manica bonded warehouse, and the figure has increased to between 2 000 and 3 500. A total of between 15 and 25 car carriers offload vehicles at Manica daily. Zimra’s legal and corporate affairs director Ms Florence Jambwa said that most of the cars were coming from Japan via Durban, South Africa. “There has been a marked increase of motor vehicle imports at Beitbridge Border Post this year as compared to the year 2012. “The month of January had the lowest number of imports (1 194) while the month of May had the highest number (3 706), in fact there has been an increase every month. “You will note that imports of motor vehicles through Beitbridge are increasing as such the work load increases. “However, the Zimbabwe Revenue Authority employs several strategies to curb challenges at the border post mainly through embracing modern technological innovations such as the use of scanners and the ASYCUDA World system which is Internet-based,” said Ms Jambwa. She said they had already addressed the challenges that were affecting the processing of vehicle imports at Beitbridge border post. Early this year there had been an outcry over the slow processing of vehicle imports at Manica where importers were spending around two days to complete the processes with Zimra. On average it should take less than one and half hours per vehicle if correct documentation was made available. She said they had no backlogs in terms of printing the customs clearance certificates for all newly imported vehicles. Scores of car importers were left stranded at Beitbridge Border Post on Wednesday after the Zimbabwe Revenue Authority‘s (Zimra) vehicle clearance system went offline for eight hours. Zimra introduced the ASYCUDA plus system for processing vehicle imports in March this year in a bid to ensure efficiency and reduce regular interface between the customs officers and its clients. Asycuda is (Automated System for Customs Data) is a more efficient and advanced system for customs data processing since it is internet based. Upon its introduction the system left little room for wheeling and dealing between Zimra employees and criminals. However, connectivity has remained a major challenge at the Manica Bonded warehouse where vehicle imports are processed. When The Herald visited the bonded warehouse yesterday restless car importers were seen moving around the yard while others were making numerous inquiries from the Zimra help desk. In separate interviews motorists advised the revenue authorities to consider having a back-up plan in case of the Asycuda system breakdown. He said it was worrying that the revenue authority had introduced the Asycuda system yet they had little capacity to sustain it. It was the second time in a week that the Asycuda system went offline after operations came to a standstill on Friday last week. Prior to the introduction of Asycuda system, Zimra had been using a station based system which operated with very few technical glitches. Beitbridge Border Post recorded a sharp increase in the number of travellers who passed through during the festive season with statistics indicating that 524 511 people passed through the port of entry between 14 December last year and 7 January this year compared to 392 660 during the same period the previous year. The assistant regional immigration manager in charge of Beitbridge Border Post, Mr Charles Gwede, said they handled 229 023 travellers on the exit side, an 11 percent increase compared to the last festive season when 202 348 people left the country. On the arrivals side, 295 488 travellers entered the country, a 35 percent surge compared to the last festive season when immigration officials handled 190 312 travellers. The highest number of travellers on the entry side was recorded on 23 December when 42 435 people entered the country through the country’s busiest port of entry. On the departure side, the highest number was recorded on 3 January when 22 625 people left the country. “This festive season between 14 December and 7 January, we handled 524 511 travellers, marking a 25 percent increase in the number of people who passed through Beitbridge during the festive season compared to the previous year when we handled 392 660 travellers,” said Gwede. Most of the travellers that they handled were Zimbabweans working in South Africa commonly known as injiva, who had visited home for the Christmas holidays. He attributed the increase in the number of travellers to the South African documentation exercise, which saw many Zimbabweans working in that country acquiring permits.